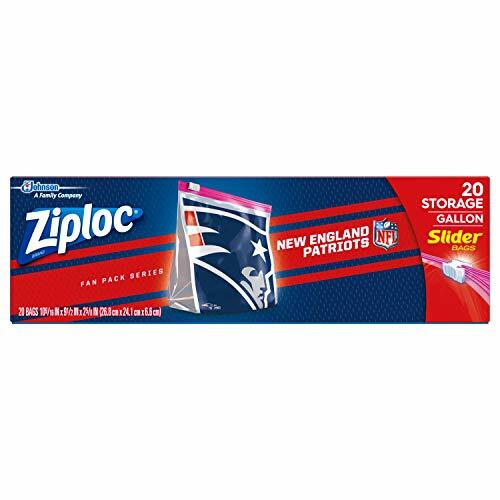 Amazon has the Ziploc Brand NFL Slider Gallon Bags, 20 ct marked down from $9.99 to as low as $3.50! The New England Patriots bags are priced at $4.40 and the LA Rams are priced at $3.65. This is a Gold Box Deal which means it is for today only or while supplies last. Amazon also has Ziploc Brand NFL Twist ‘n Loc Containers, Small, 2 ct, 3 Pack marked down from $11.09 to as low as $3.76!